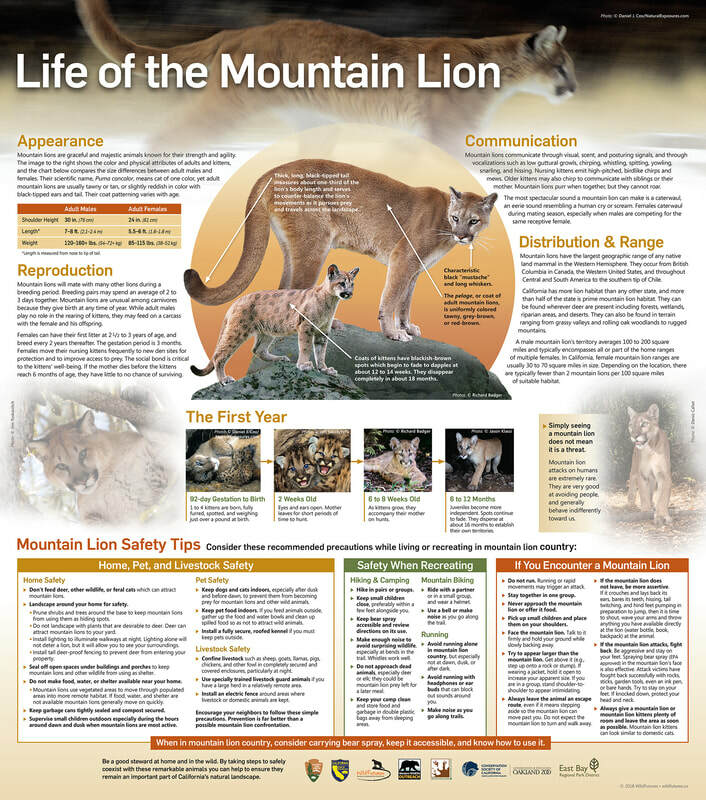 WildFutures’ beautifully designed brochure is filled with important information about mountain lions ecology, signs, valuable safety tips, and answers to frequently answered questions about California mountain lions. The brochure consists of 4 panels and opens into a 16” x 18” poster that is ideal for hanging in a park kiosk, office or classroom. We want to acknowledge the National Park Service - Santa Monica Mountains Recreational Area, California Department of Fish and WIldlife, East Bay Regional Park District, Mountain Lion Foundation, and Oakland Zoo who partnered with us on this project.